Hello all and Happy Wednesday! 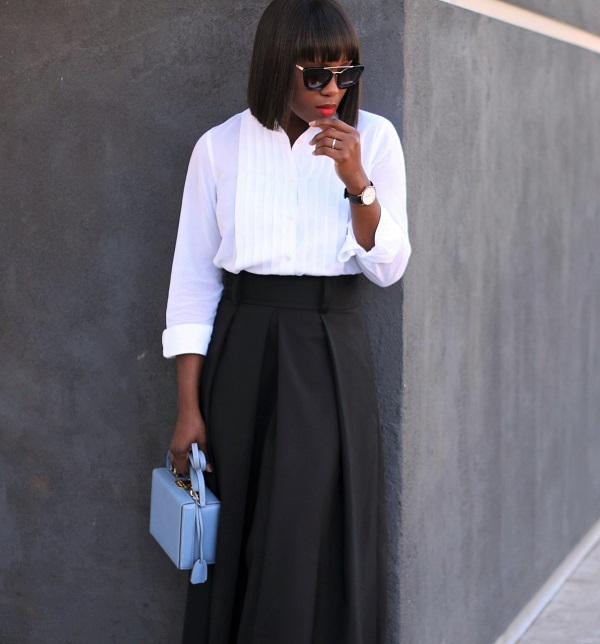 Today’s post is focuses on the importance of white button down blouses. I love their versatility from the simple options to the more detailed versions. They also transition seamlessly from work to play and can carry on well into the evening depending on the overall look. I have shared quite a few within the links on this post and I hope you find a style you love. 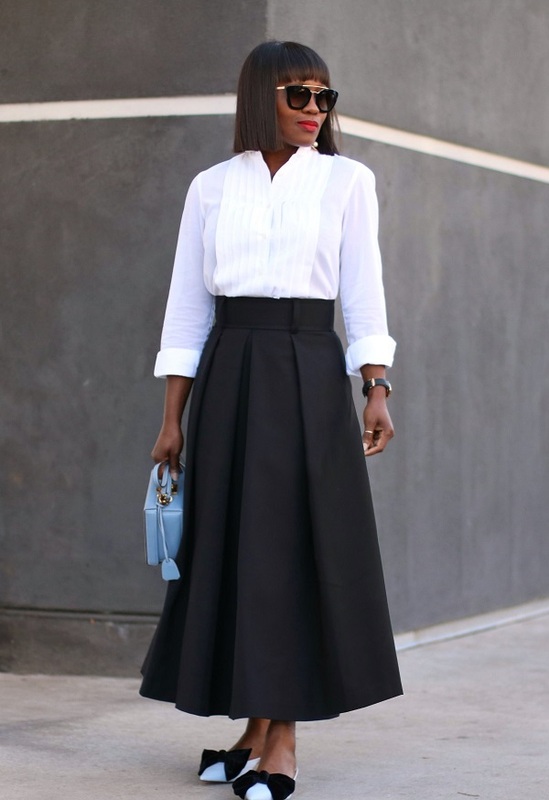 For today’s look, I’m focused on a classic way of wearing a button down white blouse and opted for this knife pleated version, with it’s tissue consistency, it’s definitely a great option. I styled it over my midi pleated skirt for a chic and clean take and finished with cool blue tone accessories for a soft cool finish. A look this clean needs a pop and my statement colour-block earrings were just the right touch. I hope you love it.